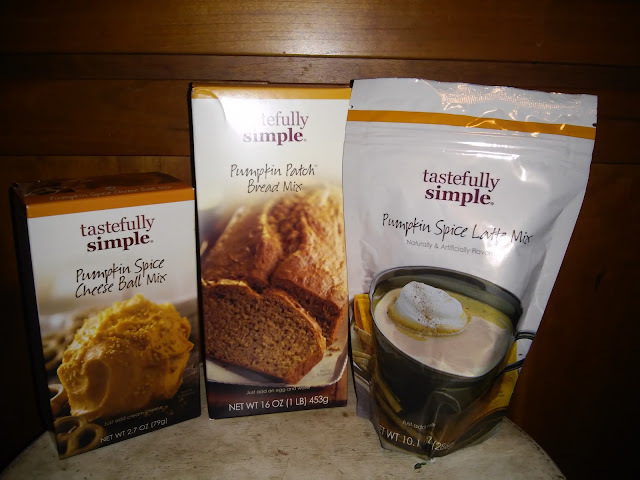 Tastefully Simple is Rolling Out Pumpkin Spice Products! This bread is cozy pumpkin, spice and everything nice. It is so easy to make - just add an egg and water! It is the perfect fall treat for company or just for you! Have a Fall party and want a quick but delicious appetizer? Then you have to serve this sweet and creamy pumpkin swirled with cinnamon, ginger and nutmeg. It comes complete with a crispy crumb topping and all you have to do is just add cream cheese! Want to warm up this Fall with a delicious Pumpkin Drink? Then try this creamy, cozy sweet latte with iconic fall spices. It is perfect for sipping during “me” time or while catching up with friends. Just add milk!